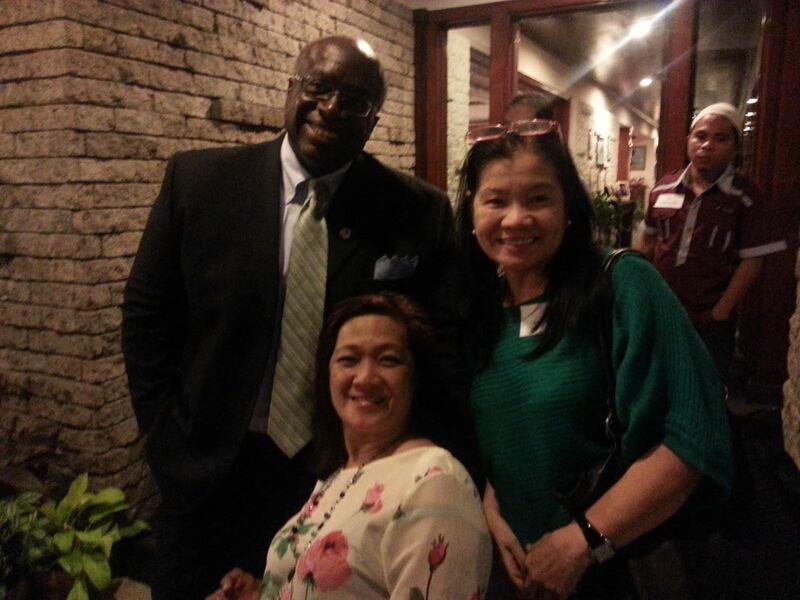 US Ambassador Harry Thomas joins NCDA Acting Executive Director Carmen Reyes-Zubiaga and TCD Chief Nelia R. de Jesus for a posterity shot at the IFTA Dinner tendered by the Ambassador for partners. NCDA works closely with the AFS-IPP on the reentry plan for returning scholars, many of them now strong advocates on the rights of persons with disabilities. This year’s batch of 3 scholars brings to 21 the total number of AFS exchange students with disabilities, under this joint program of NCDA, US Government through the AFS-IPP, supported by the Department of Education.